Cats, Ducks, Frogs, Owls, Parrots, Pigs, Fish, Elephants, Whales, Dolphins, even Dragons! A massive menagerie of many, big and small, from around the world. 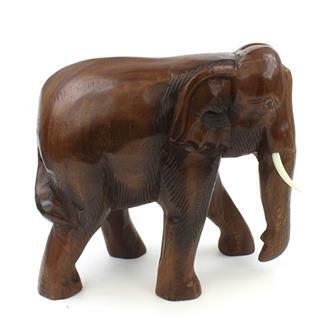 Find the perfect little desk companion from Bali or go big and check out our terrific Thai elephants for a great centrepiece! 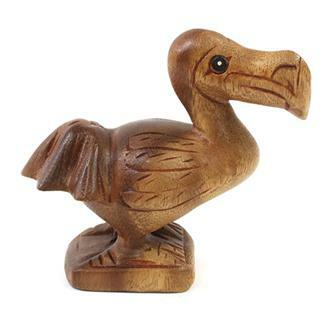 These friendly little dodos are hand carved in Northern Thailand from acacia wood. Perfect for fans of Alice in Wonderland! 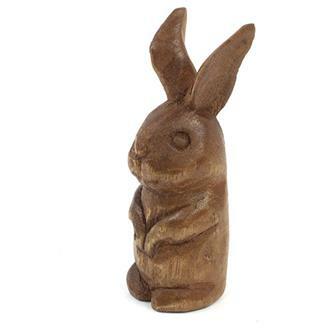 These lovely little sitting rabbits are handcarved in Northern Thailand. 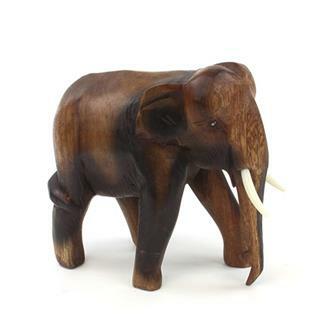 Made from fast growing acacia wood, they are perfect gifts for any nature enthusiast. 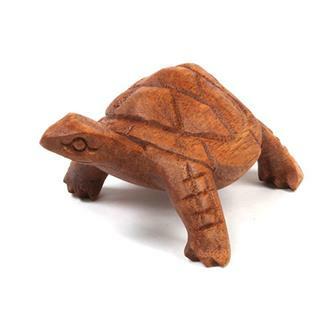 Friendly little tortoise wood carving made from Raintree wood in Bali Indonesia, this little fella makes a terrific ornament for tortoise lovers. 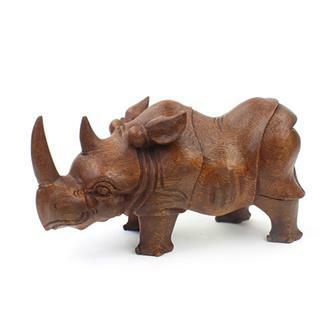 These beautifully hand carved rhinos are made in Bali by skilled artisans from Suar wood. 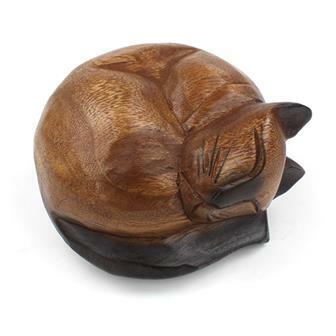 Each piece depicts the creature in fantastic detail and is finished in dark or light wood stains. 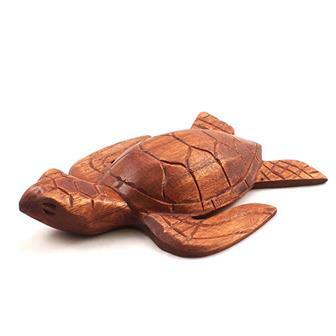 Carefully carved by hand by skilled artisans from Bali, these happy little turtles make terrific ornaments in any home. 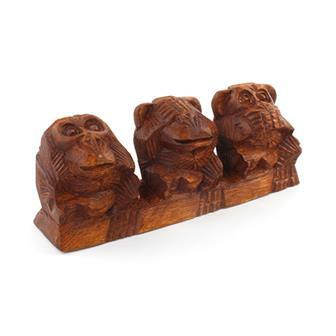 This rustic woodcarving depicts a version of the three wise monkeys in their typical 'See no evil, Hear no evil, Speak no evil' positions. 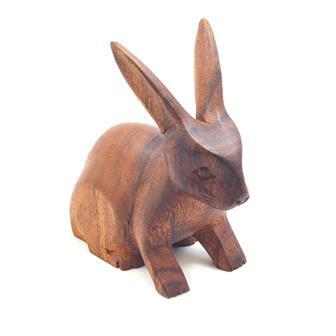 Carefully carved from Raintree wood in Bali Indonesia, this wonderfully tactile wooden hare makes terrific ornaments in any home. 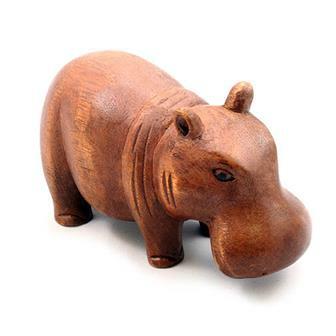 Carefully carved by hand by skilled artisans from Bali, these lovely little hippos make terrific ornaments in any home. 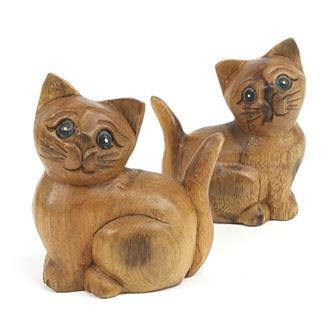 Double up on cuteness with this pair of purr-fect little plump kittens, handmade in Northern Thailand. These mini fellas have been carved from acacia wood in northern Thailand. The carving has been done in a small family workshop and the income from the sales of these carvings is vital to the family. 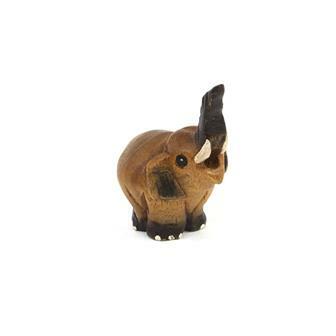 A cute little carved elephant that has been carved from acacia wood in northern Thailand. The carving has been done in a small family workshop and the income from the sales of these carvings is vital to the family. 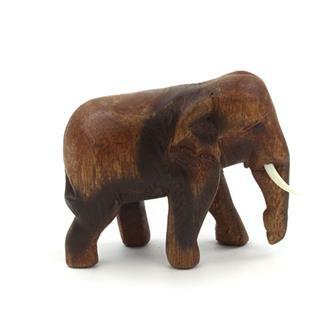 This wooden elephant was hand carved by a small family group in Thailand from acacia wood. 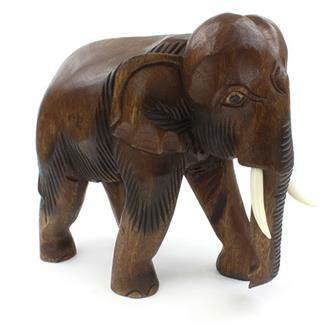 This large carved elephant has been carved from acacia wood in northern Thailand. The carving has been done in a small family workshop and the income from the sales of these carvings is vital to the family. This is our largest elephant carving which is a great piece for all those that appreciate this majestic animal. Made from acacia wood in northern Thailand in a small family workshop. Elephants are revered in Thailand as for centuries they were the main beast of burden for much building and construction work. 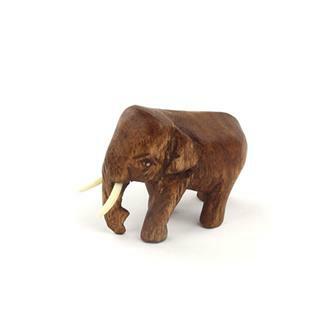 These beautiful hand carved elephant heads are a perfect gift for any nature fan. 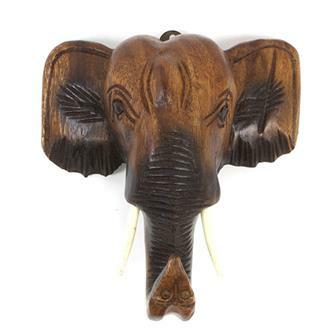 They can be a lovely piece of home decor or the trunk can be utilised as a handy coat hook. 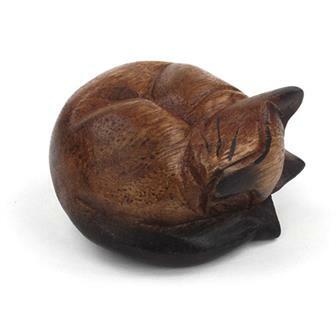 Lovely, simple acacia wood carving of a serene sleeping curled cat. 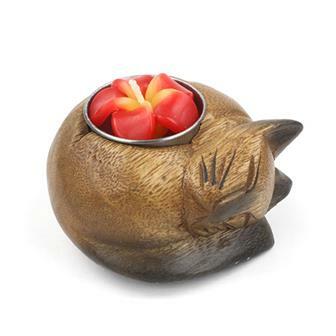 Comes with one of our beautiful flower tea lights but the hole will fit all standard tea lights. The purrr-fect little pet (sorry). No need to feed, groom or tidy up after. Quite likes the occasional stroke with a little polish. Each of these fine felines is hand carved in northern Thailand. 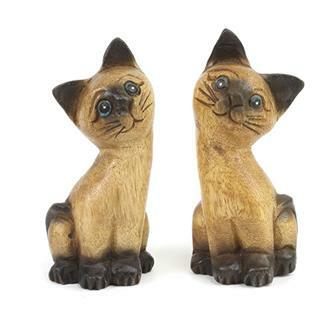 These very popular, hand carved cats are carefully made in northern Thailand. The perfect gift for anybody cat mad or feline friendly.